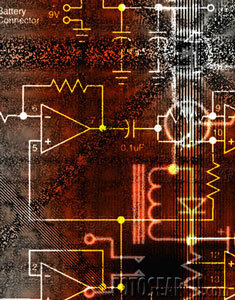 Why outsource your PCB layout? Today's dense high speed designs require specialized experience in order to produce a PCB that has good signal integrity and maximum timing margins. There's a lot more to routing a PCB than simply connecting two ends of a trace. 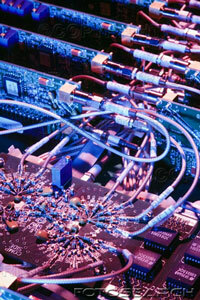 At DSI, our staff is experienced in routing methods that will produce the highest signal quality possible. We have experience in routing PCB signals with switching rates of up to 10GHz. With this knowledge, we are able to fully constraint each net for length, routing pattern, impedance, minimum via intrusion among other factors. 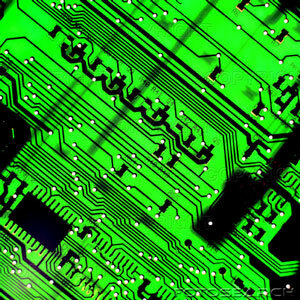 The result will be high yield PCBs that will perform at a wide temperature range. Our costs are the lowest in the industry. The average cost is $1 per pin plus $1,000 NRE for board related setup costs. A typical 8 layer PCB with 4 FGPAs, 2 ASICs, 8 discrete SDRAMs and supporting logic costs about $2,000 to place and route. We offer turn key designs, all we need is a schematic. We will generate all footprints for your components. If you have routing rules we will route your PCB accordingly. We also have the capability to perform timing analysis to derive routing rules for your PCB ensuring signal integrity and maximum timing margin. 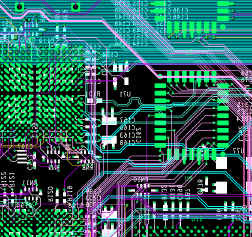 Once a PCB is fully routed, we perform detailed DRC analysis using our board routing tool. We also perform a secondary DRC analysis using a 3rd party tool to extract a netlist from the GERBER artwork. The extracted netlist is compared against the original netlist for opens and shorts. This ensures with 100% accuracy that all connections have been implemented correctly. We also offer design review services on your schematic before the place and route process takes place. If desired, we can review your schematic in the areas of termination, low noise supplies, power supply filtering, RF design guidelines and much more. We will price match any quote and beat it by 30%, this includes low cost vendors such as Palpilot.